Beer knowledge is a great thing and something that is growing fast in the US and UK – helped by the craft beer renaissance that has been underway for the last few years. Back in the 70’s in the UK – people thought a good and passable wine to bring along to a “car keys in the bowl” dinner party was a Blue Nun – and wine was either white or red. However, a general education took place over the last couple of decades where people really began to understand wine in this country – they started to know their grape varieties and what the difference is between a sweet and dry wine and everything in between – and with this knowledge came the ability to make better decisions and select wines that they were probably going to enjoy. All this ended up giving the knowledgeable consumer more confidence to be adventurous and make recommendations to friends and not just stick to the same drink week in week out. Well with beer – until recently – we’ve been stuck in 70’s mode – with little knowledge about hop varieties, IBU’s, malts and the many varieties of beer – with people seemingly content drinking mass produced lagers and bitters. However – times they are a changing – and over the last few years people are now really beginning to get into beer in a similar way to wine all those years ago. You certainly begin to see the change on TV – with foodie programs having beer tasting and food pairing features rather than the usual focus on wine. This is a real positive change, as people will start to be empowered and have the ability to wisely choose what beer they want to drink, and naturally some breweries will need to up their game – as consumers gradually become more sophisticated and are no longer happy drinking uninspiring and flavourless beers. 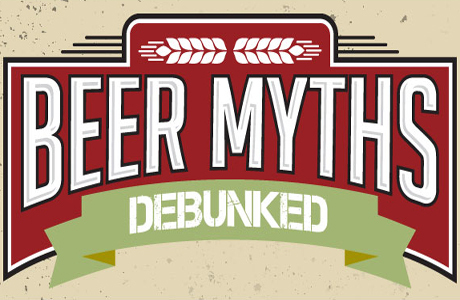 So to help educate and dispel some myths about the new and wonderful craft beers – here’s a useful infographic from Karl Strauss Brewing Co to pass onto your beer laggard friends!